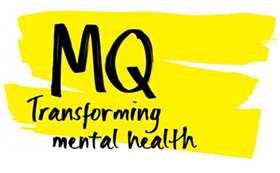 This study is funded by MQ: Transforming Mental Health and aims to develop new treatments for repetitive negative thinking patterns in generalised anxiety and depressive disorders. Repetitive negative thinking, such as worrying (silently talking to ourselves about possible catastrophic outcomes) and ruminating (thinking about personal failings or why things have gone wrong in the past), is something we all do from time to time. Worry and rumination play an important role in preventing people from recovering from common but very disabling mental health conditions. Uncontrollable worry is the driving feature of Generalised Anxiety Disorder and rumination is very common in Depression. Understanding how to reduce these negative thought patterns by targeting underlying processes will lead to improved clinical treatments for these disorders. If you would like to take part in our research, please click here to read the Participant Information Sheet, which will tell you more about what taking part in this study will involve, and click here to register for an account to get started and fill in our initial questionnaire.